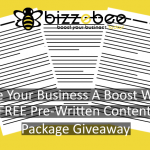 Gather round people, I would like to say a big hello and offer you a warm welcome to our new site bizzebee.com which is dedicated to businesses and entrepreneurs wanting and needing to build their business and brand online. I have been given the pleasure to introduce to you the people behind this new site, all of which have real experience working online in many different areas from WordPress and web design to Social Media, running affiliate marketing campaigns and SEO. Cheesy? Maybe, True? Definitely. 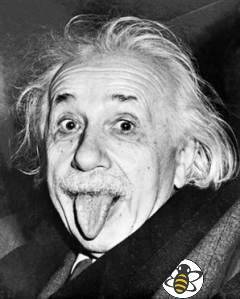 We want you to succeed. It is as simple as that. Now would be a good time for me to tell you what our aims are for this site and what we intend to offer you but first I feel that I want to tell you about the things we WON’T do and who we are NOT. I know the rest of the team agree with me here. 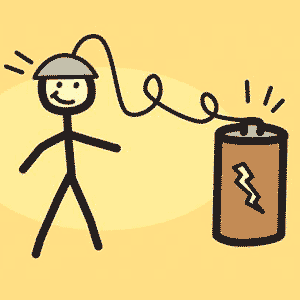 We are NOT new to this and have just thrown together a dodgy ‘How To Make Millions Blogging While Swinging in A Hammock On The Beach In Just Your Undercrackers’ and trying to sell it on the Warrior Forum. You know the people and their products. We will not sell you the dream and run away with your money. Should we ever come close to creating that kind of sales page please send us an email via the contacts page and we will arrange for the one who wrote it to visit your home so you can slap them long and hard with a wet fish. I can safely say that that will never happen. Being successful online is not just about the affiliate marketers or internet marketers selling ‘Get Rich Quick’ products, No there are millions of small local businesses like bakeries, garages, taxi services, clothing shops and trades like plumbers & bricklayers who can benefit greatly from having a good online presence. Every business can be and should be online. It is 2013 now, more and more people are looking online for restaurants, hotels and local tradespeople. More and more of those people are doing their searches on smart phones and tablets. The old ways of advertising in papers or local business directories are slowly dying and with the economies of the world being in poor health businesses need all the exposure and branding they can get. There has never been a better time or a need to get online than today. There are plenty of great free tools and networks that small businesses can use as well as paid services and tools that can be used to increase visitors to your site. The difference is unlike other networks who will tell you to ‘do this and do that’ all the time we will tell you whether it is right for your business. Getting traffic to YOUR site is one thing but a small bakery in Leeds does not need to be spending hundreds of pounds placing ads on ‘buysellads.com’ or running solo ad promotions. We all have a great sense of humour but even we cannot bring ourselves to create an Empower Network style business where we promise to teach you online marketing for any kind of business but actually only focus on the promoting of the network. 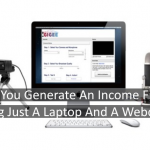 We would never offer you commissions to bring more people into the network so you become trapped paying into the system working hard to bring more people into the network hoping and expecting big bucks. Those guys are having a laugh at your expense; we do not find that funny and have no interest in doing that so please we beg of you to not think that we are in anyway like that network because it is not true we despise them. All of us as individuals at one time or another have owned, worked for and run small local businesses and we understand that what suits one industry does not suit another. I for example ran a small T-Shirt and art business selling paintings and T-shirts to people both online and offline around the world as well as being a self employed carpenter. Clair comes from a family that owns and runs several printing companies supplying business flyers and brochures etc which she has moved online. John regularly supplies promotional videos to offline businesses like restaurants and Matt and Sam have done various web design consultancy work with local companies. Mizanur runs his own SEO, website maintenance and content creation service over in Chittagong Bangladesh and he has many fingers in many pies. We know that each and every business requires different kinds of traffic and different traffic often needs different methods to attract it. There is not always a one fits all solution. That is the reason all seven of us have come together to offer all the knowledge we have from soooooo many different angles of business both online and offline. What we don’t know is probably not worth knowing and if there is something we don’t yet know we are in a great place of finding out. We are watching and learning what is new in the online world and we want to pass that over to you. So if you are a small local business, a multinational business or a blogger and online marketer wanting to learn more and grow your online presence and business then you have come to the right place. 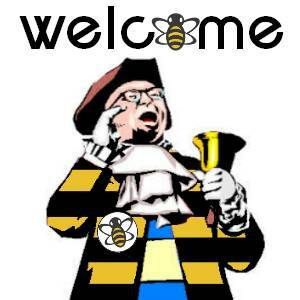 Join the bizzebee community (should that be colony?) sign up for our excellent weekly newsletters and let us help you grow and improve your business online. The bee is very important and a busy bee keeps society and life going as nature intended. The same is said for business; to grow and evolve you need to become a bizzebee. And what is one of the secrets to the bees success? They work together as a community. Need I say more? I think it is time to bring this first bizzebee post to a close and I would like to say these final words. 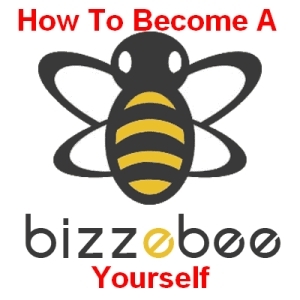 How To Become a bizzebee Yourself. Andi is a dabbler and a lover of electronic music. He loves writing and in his words he is ‘pretty good at it’. You would have thought he could have written something slightly more inspiring! :-) He has several years experience working as a paid writer, blogger, social media manager and WordPress specialist for one of the UK’s top internet marketers and also has skills in copywriting and using Facebook/Google advertising. He writes regularly for several blogs, some his own but mainly for Self Publishing Journey. Thank you for your kind words Abihishek 🙂 It is good to have you here with us. You will Abhishek – welcome along! This is an excellent post, and there was nobody better than our writer in chief Andi to do this post! Love the site, and I am VERY honoured, proud and privileged to be working alongside all of you! Here’s to our success and a very busy beehive! Great site guys….looking forward to following along and seeing all your great tips 🙂 This is a great idea and I’m sure it will do VERY well!!!! A lot of great talent this site is going to be a great must read spot!